Monster Jam - Motorsports/racing Feedback!! 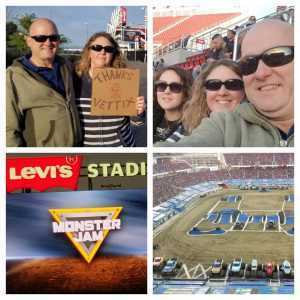 Thank you so much VetTix for providing my family a night out at Monster Jam! You have no idea how special these memories are and how happy we were to do this for our kids! Thank you very much Vettix and the generous donors who made it possible to attend the spectacular Monster Jam monster truck show that my wife, daughter, and I thoroughly enjoyed! 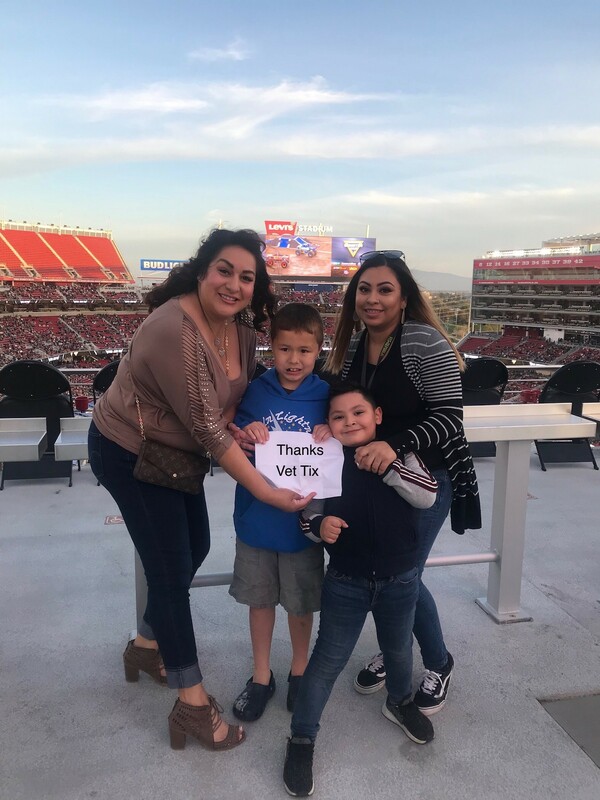 We had a fantastic time with the best view in Levi Stadium! The show is like no other show we have seen! We are truly grateful for your generosity! Thank you very much! 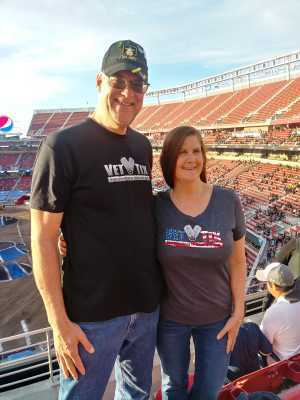 I just want to thank everyone at Vet Tix and their sponsors and the donors who made this event possible. 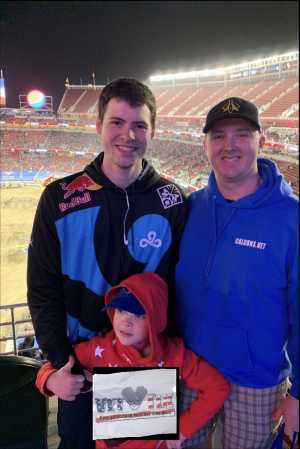 Never been to a Monster Truck rally and this was well worth it. Thank you. 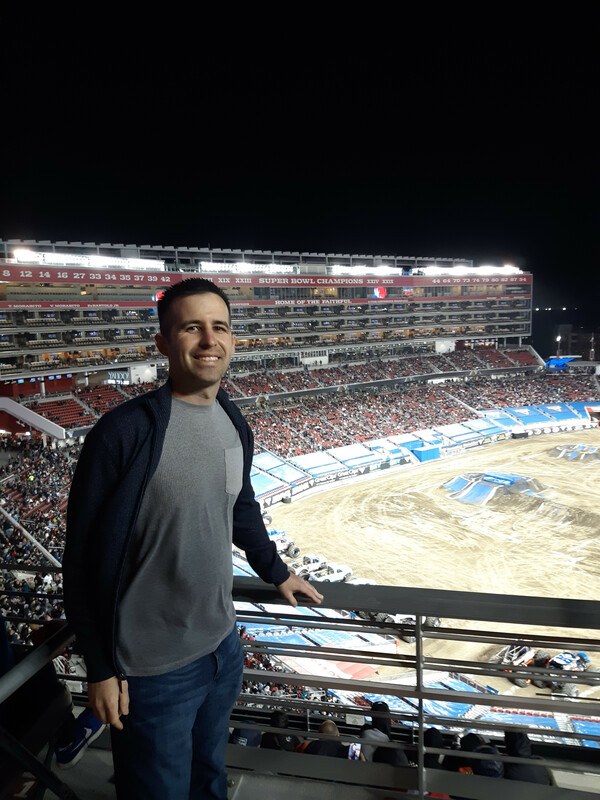 This was my first time to both Levi's stadium and a Monster jam event. 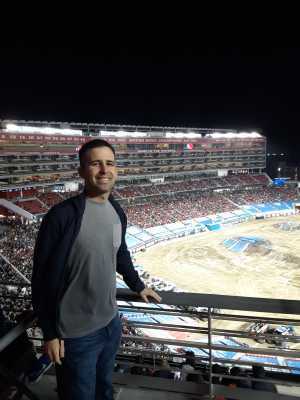 The stadium was awesome. 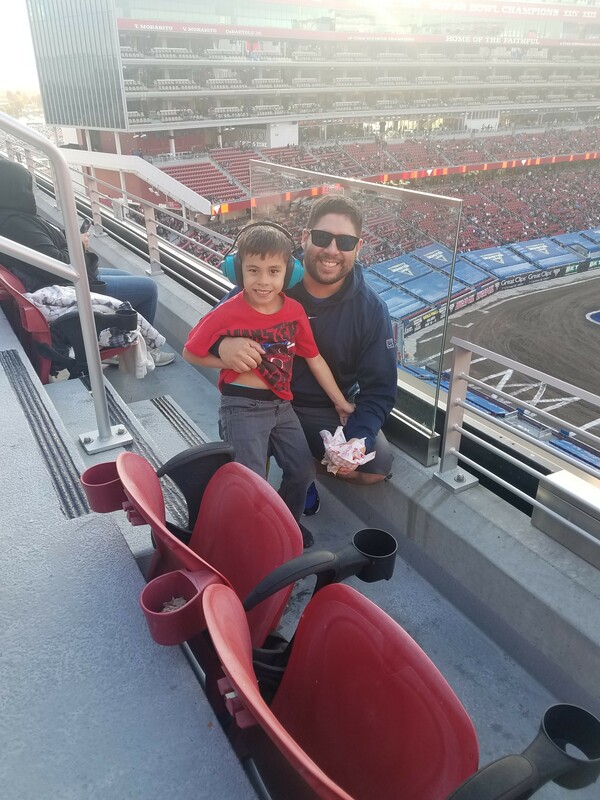 This stadium is a great addition to our community. 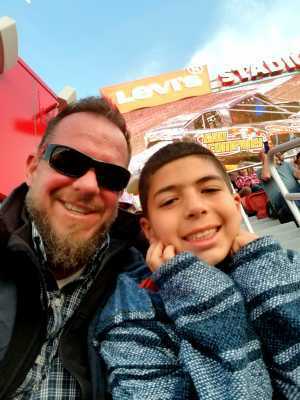 I used VTA's light rail system and had a good experience to and from the stadium. Levi's and VTA have coordinated and simplified the exiting experience to the train. Just like Disney crowd handling. My seats were in section 325 in the end zone - up about 6 stores high. 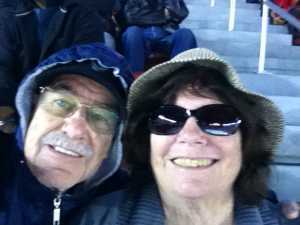 It was a April chilly night and warm clothes were needed. Ear protection came in handy. Show was about two to three hours long and quite a large crowd of people in attendance. Thank you Levi's and Vettix for this unforgettable experience. What an experience for my daughter and there kids to enjoy the monster trucks. Thanks to the 24 donors who donated them and also thanks again to vet tixs.. Thank you so much for the generous ticket donation. 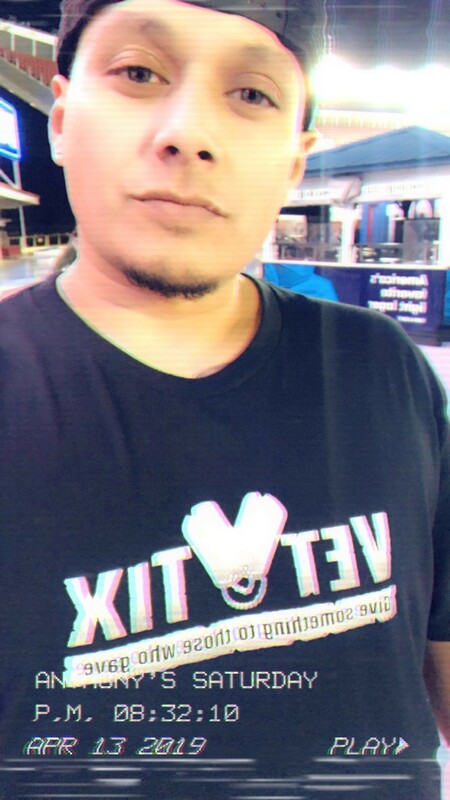 We had a fun night out and seeing all the kids was great. 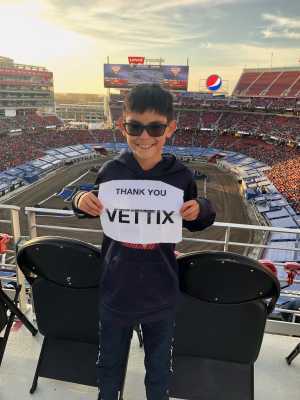 Also got a new friend hooked up with Vettix. 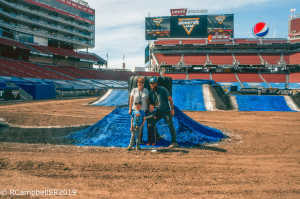 This was an awesome event! One of the best ever. The boys had been talking about of weeks. It more then meet their expectations. A huge huge thanks to all the donors. Really were able to touch the lives of some ppl today! Thank you to Vet-Tix and the individual donors for the tickets to see Monster Jam on 13 April 2019 at Levis Stadium.The show was great and we had a great time. Amazing show. 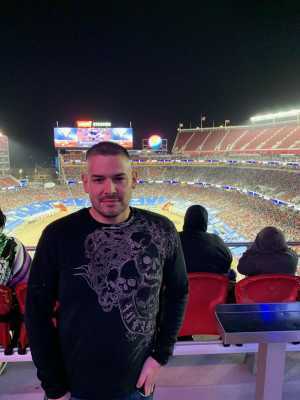 I want to thank the sponsors for the tickets donated. 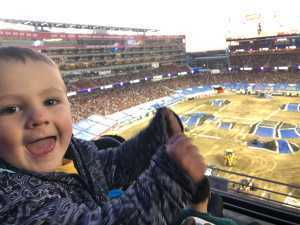 My family loved the monster truck show. 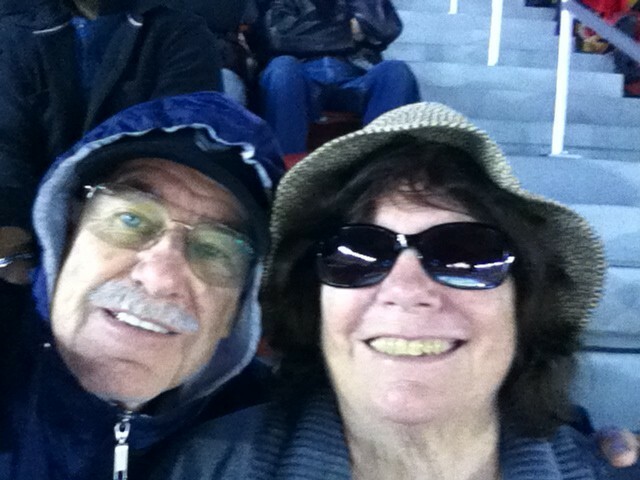 Thank you to generous folks who donated tickets. It provided me with the opportunity to share this exciting event with my 11 year old son and two of his best friends. 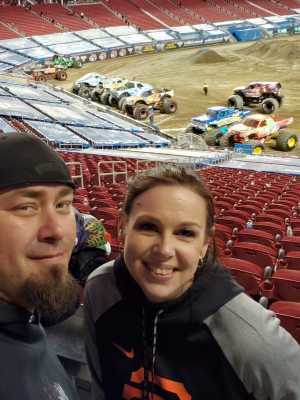 We had a great time and were amazed at what these drivers can do with these big trucks. Thank you again for supporting our troops and veterans. 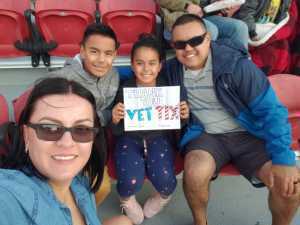 Thank you so much for this opportunity vettix. Having both our kids birthdays within a week of our anniversary we never get to do anything. 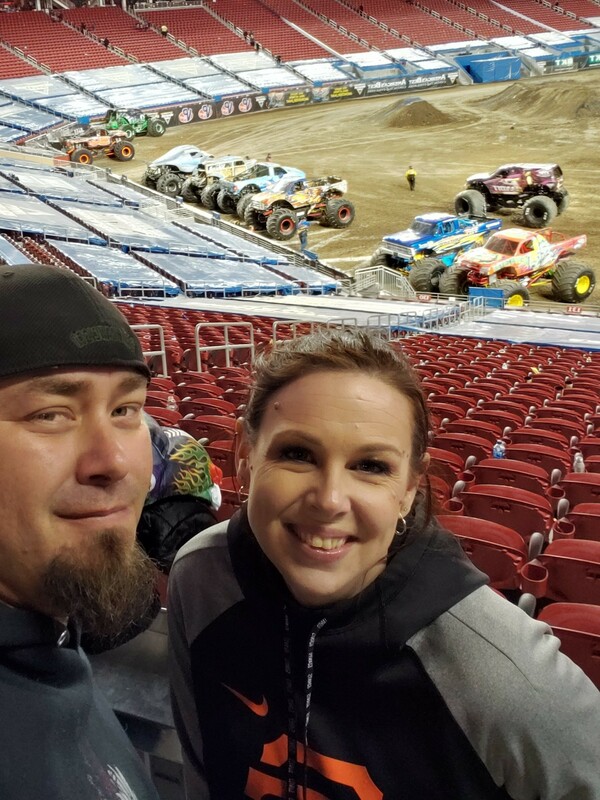 This year we got to celebrate being married for 14 years at monster jam thanks to you and your wonderful donors. Thank you Vet Tix !! Thank you to those who donated these tickets. 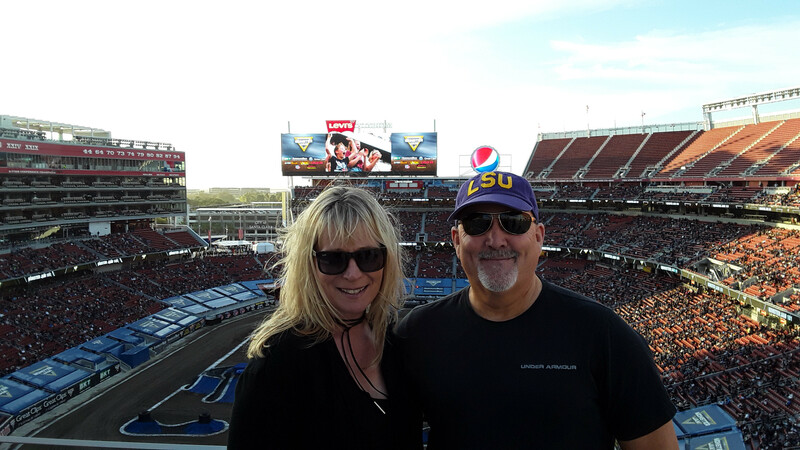 My wife and I had a great time at Monster Jam watching the Monster Trucks jam at Levi Stadium. I am a retired Army Major, and this is the first time I've ever had free tickets to anything. This is a great way to thank vets for their service. My wife and I look forward to going to many more events with the help of Vet Tix and those like who so generously donate tickets.